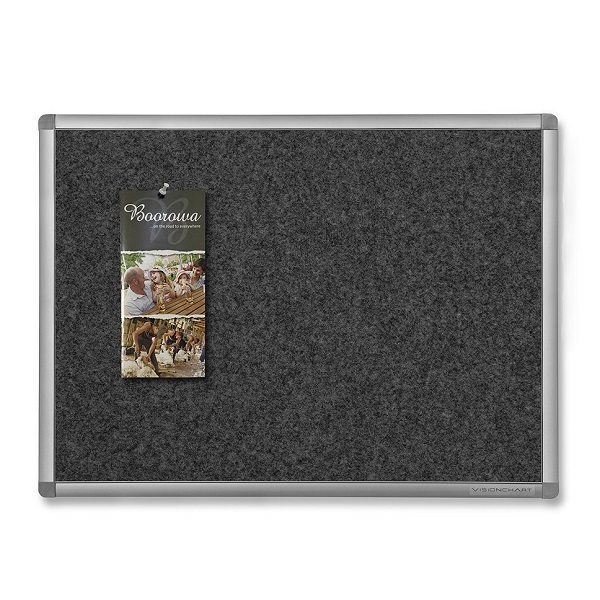 Super tough environmentally friendly pinboards made from marine carpet... takes any hard use ! 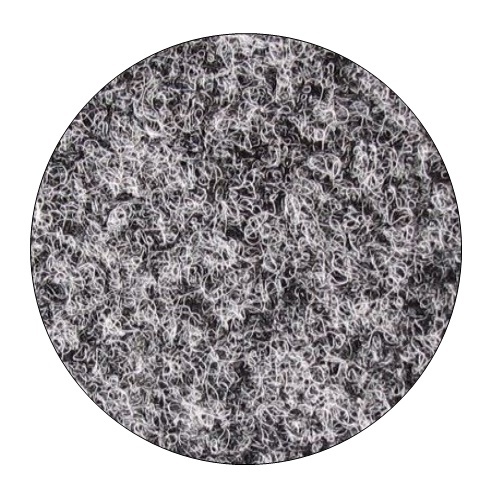 'Tough as nails' surface made from hard wearing marine carpet. Surface is even washable and scrubbable. Pinnable and Velcro (hook and loop) receptive surface. Accepts all push pins. A stylish, anodised aluminium frame with concealed moulded corner mounting (wall fixings supplied) secures the marine carpet surface. 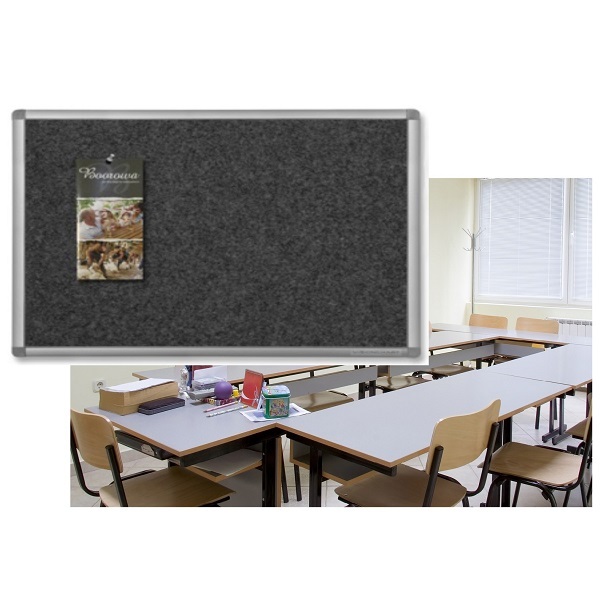 Super tough notice boards are suitable for schools, educational and industrial workplaces or any environment demanding a hard use, hard wearing solution.